The detailed account places a strong emphasis on the many expressions of fatherhood, as not only biological but also social and self-assigned, calling for society to shift its view of fatherhood as a role encompassing both the breadwinner and caregiver. This academic examination of fatherhood highlights the positive ways men are embracing their roles as fathers, and the positive effects a father has on mothers, children and even themselves. The report makes it clear that due to the societal view of mothers as the sole caregiver, past conversations on parenting have excluded men and identifies key areas in most need of development and further study. 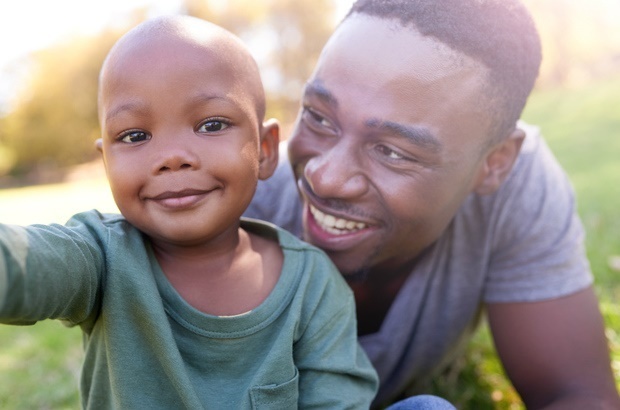 Here are 12 significant findings uncovered about fatherhood in SA. "There is no typical father in South Africa. There are many types of fathers and many types of fatherhood in the country." An absent father is a parent (biological or not) who is neither physically nor emotionally nor financially present in a child’s life. Co-resident fathers are biological parents who live in the same home as their children at least 4 days per week. Non-resident fathers point to a parent who is actively involved in their child’s lives but who do not live in the same household. Social fathers describe father-figures, self-assigned fatherhood by either the individual themselves (who may or may not be related to a child), extended family or the community. This includes those who already have their own biological children. 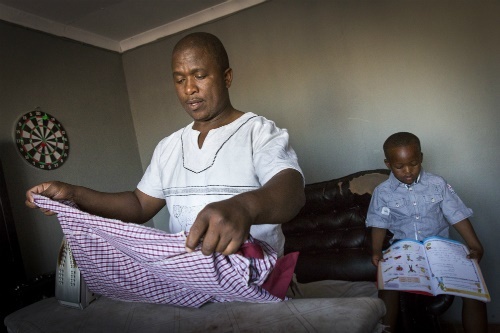 36% of SA’s children live with their biological fathers. 35% live with a man who is not a blood relative. 16% of children’s biological fathers are deceased. The prevalence of economic scarcity and lack of supportive social networks found among non-white South Africans are identified as key reasons for absent fathers. 43% of black children (more than 6 million) live with a mother only and only 29.5% live with both biological parents. 35% of coloured children (nearly 538 000) live with a mother only, and 780 000 (50%) live with both parents. 10% (about 37 000) of Indian/Asian children live with a single mother, while 4 out of every 5 children live with both parents. For white children, 17% (roughly 169 000) live with their mothers only, and 76% (around 748 000) live with both parents. From mental health and healthy relationships to self-esteem, the report documents both the positive effects of a father’s presence, as well as the negatives of his absence. Following on from the South African Institute of Race Relations report, growing up without a father makes children “more likely to experience emotional disturbances and depression”, and boys in particular are more likely to display aggressive behaviour. Despite a mostly positive result, the report warns against assuming that a physically present father is always a good thing since an absent father is considered better than a present but violent one. The study shows that several factors determine whether a man can be involved in his child’s life, but poverty is singled out as the main reason men aren’t ‘allowed’ to take on the role. The document shows that in addition to a lack of resources, for young fathers in particular, societal judgement also keeps them away. The report takes great care in acknowledging the difference between absent fathers, non-resident fathers and fathers who are physically present yet emotionally uninvolved. Despite physical separation, a large percentage of non-resident fathers remain fully invested in their child’s lives through financial and emotional support, as well as providing practical care. The report flags that, contrary to popular views, a father who lives with the family (co-resident fathers) is no guarantee of a warm and loving support system and may be even more distance emotionally, providing little to no care to their children. 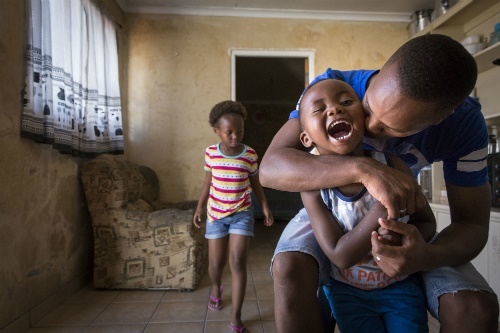 Referencing a study conducted in Gauteng involving 10 non-resident fathers, when asked about their status, the men shared that it was “undesirable and emotionally distressing”. The report confirms that regardless of income and location, less than 5% of children live with a biological father only. Research confirms that just 11-12% of SA’s kids receive primary care from their dads. 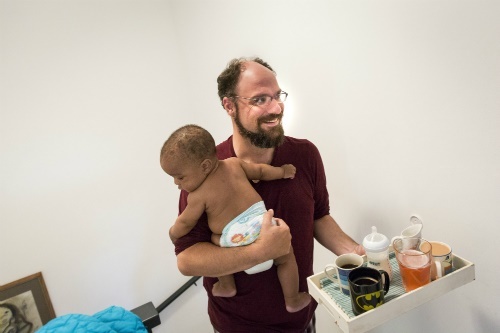 Studies found that men who are active caregivers displayed “gender equitable attitudes”, and the tasks they completed include doing the laundry, talking to their kids about personal problems and assisting with homework. The report recommends that further research needs to be done to understand what motivates contribution and the reasons men fail to provide care. This apparent lack of caregiving by fathers, however, could be explained by another study. According to the report, contributions by men are not always recognised as care and are dismissed by both themselves and their partners as something that is only done now and then. It concludes that due to social conventions, men are less likely to receive acknowledgement for the same tasks as mothers. What have you experienced about fatherhood that goes against society's expectations? Share your story by emailing to chatback@parent24.com and we could publish your letter. Do let us know if you'd like to stay anonymous. No other phase in a child’s life is counted as more vital than the first 1 000 days. Described as the period from conception to pregnancy, and up to a child’s second birthday, the first 1 000 days marks a vulnerable time for a baby’s brain development and a key time for a father’s involvement. Here positive loving interactions by both parents couldn’t be more crucial for a baby but also goes a long way in assisting a mother as well, particularly with postnatal depression and breastfeeding. Whereas maintenance merely enables financial support, the report suggests looking to the cultural process known as Inhlawulo as a prescribed path to paternal involvement. Similar to lobola, a man makes a payment in either money or cattle to a woman or young girl’s family for illegitimately fathering a child. “Inhlawulo is essentially about acknowledging paternity as much as granting permission to a man to be involved in his child’s life... These arrangements and practices clearly show that not only biological parents but families too were involved in raising children." Despite the potential barrier this poses to men who are not financially stable, the practice encourages involvement in a way that maintenance does not. Despite being gender-neutral, the report found that “over the past 20 years on average only 2% of the total number of CSG recipients were men” and in these cases all funds were used to cover household and child-related expenses. One of its most unfortunate findings is that family matters often default to the mother, where data, surveys and studies themselves neglect to include fathers. 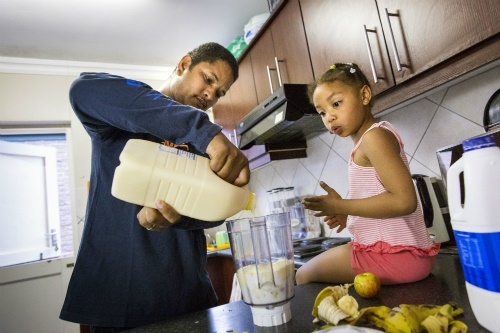 Never before has this much academic research gone into understanding fatherhood in South Africa and the report acknowledges that more needs to be done.